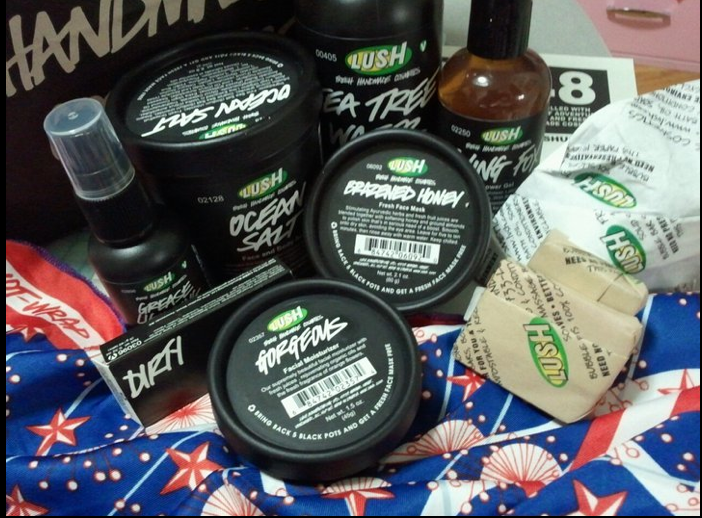 If your unfamiliar with Lush.. well.. get familiar! 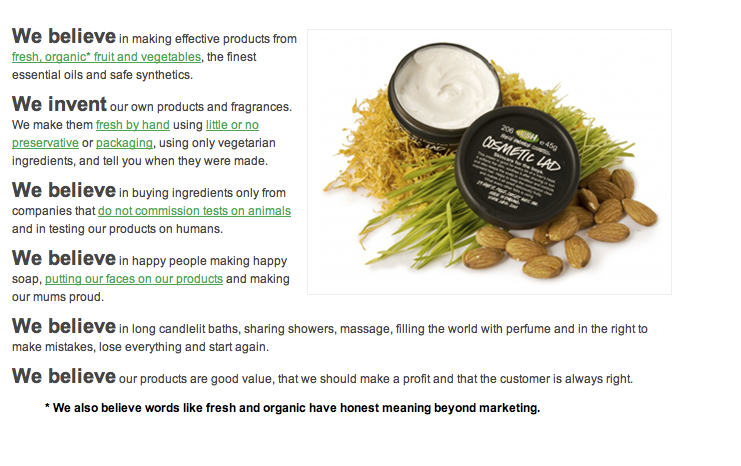 The products are amazing and smell great and aren’t full of preservatives or toxins. In fact when coming upon a Lush store you can smell it from across the street! Today I went to Lush in Herald Square and I thought I was heading the wrong direction -But- you know what helped me know I was on the right track??? The smell !! 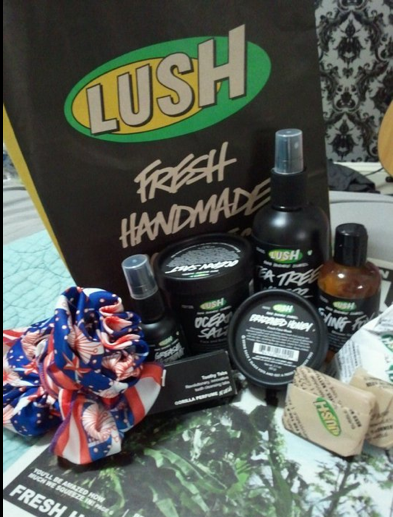 Its wonderful and not a smell derived from chemicals… I am on a new health kick inside and out so that includes skin care.. below is my haul and a Lush company statement. A lovely lady that works there made me a flower out of the scarf I purchased and threw in some free samples. She has been using Lush a few years and does NOT look her age!